W203n16386 White Oak Cir, Jackson, WI.| MLS# 1611527 | Star Properties Inc.
Now is the time to own this Spacious 3 bedroom, 2 1/2 Bath Colonial. This house is move in ready! Original owners have taken pride in their home. Open concept Living Room opens to Dining Room. Large Kitchen with ample cabinet space with Breakfast Bar. Enjoy family dinners in the Dinette looking out to the private Backyard. Cuddle up in the Family Room equipped with Vaulted Ceilings and Natural Fireplace. Upstairs features Master Bedroom with double closets, private bath w/ walk-in shower. Upstairs also has 2 large bedrooms and full Bathroom. Mudroom off of Garage with First Floor Laundry. Lower Level consists of Rec Room & an extra room for your Den, Office or even a play room. 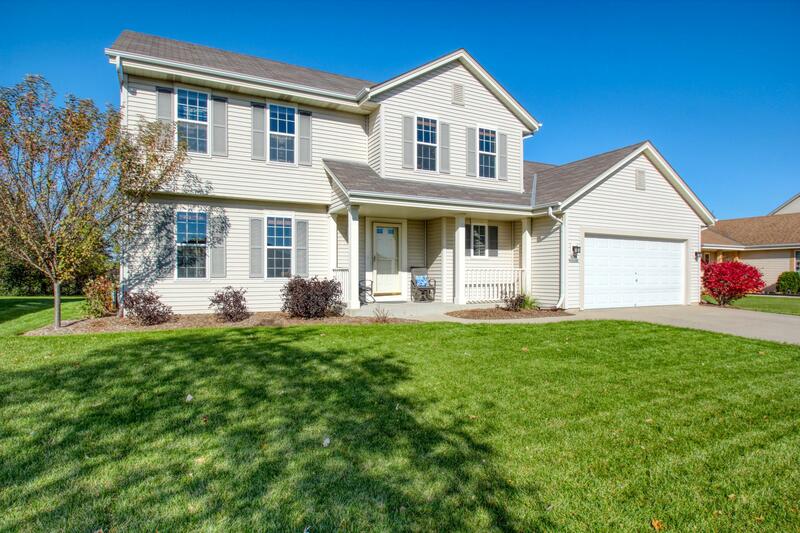 Don't miss out on calling this house your home! Conveniently located near Park, Schools, Rec Center and More!